Michael Green will deliver the 123rd Faculty Research Lecture at UCLA on Oct. 25. The lecture is free and open to the public. 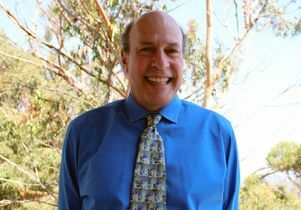 Michael Green, neuroscientist and professor of psychiatry and biobehavioral sciences at UCLA, has been fascinated with the human brain, behavior and mental illness since his undergraduate days. In graduate school at Cornell University, he worked in a state hospital with people who had schizophrenia. While working with them, Green noticed he could be having an ordinary conversation one moment, and then suddenly the conversation would shift dramatically, erasing the common ground they had established. “I have never encountered a condition so perplexing, both scientifically and clinically,” said Green, who is a senior research scientist in the Semel Institute for Neuroscience and Human Behavior at UCLA. From that point on, he knew he wanted to devote his research to schizophrenia. Green will deliver UCLA’s 123rd Faculty Research Lecture on Wednesday, Oct. 25. The lecture, titled “The Human Social Brain: How it Works and How it Goes Awry in Schizophrenia and the General Population,” is based on his lab’s explorations of the relationship between cognitive deficits in schizophrenia and activities of daily living. The Green lab is part of the Semel Institute and the Department of Veterans Affairs VISN 22 Mental Illness Research Education and Clinical Center. Schizophrenia is a chronic brain disorder that affects about 1 percent of the population. Its symptoms can include delusions, hallucinations, trouble with thinking and concentration, and lack of motivation. 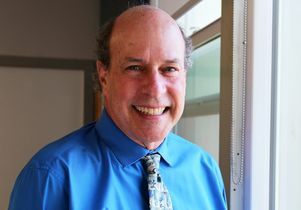 Green has pursued many research questions in the course of his career, but perhaps the biggest puzzle is why most people with schizophrenia do not function very well in the community. 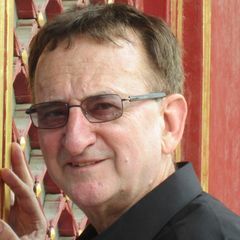 In his lecture, Green will describe how his lab uses discoveries in psychology and social neuroscience about normal brain functioning to inform his schizophrenia research. “For example, there’s a system involved when we can feel other people’s pain. When we see someone in distress there’s an automatic reaction where we feel connected. That’s part of empathy,” he said. That’s one reason people with schizophrenia may end up socially disconnected, isolated from friends and family. His lab has developed new treatments and training methods to address these issues. These include interventions designed for small groups of patients to improve their ability to detect emotions from facial expressions or voice tone. Green and his colleagues are now moving into new territory, studying the causes of social isolation among people who do not have schizophrenia. A growing body of research is finding that isolation and loneliness have negative impacts on health, leading to earlier deaths. 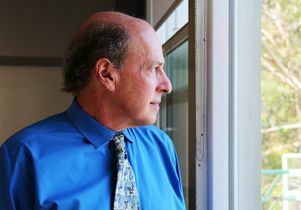 He believes the insights gained over many years of studying schizophrenia might shed light on why some people without the disease become disengaged from society. In selecting the two professors to deliver the Faculty Research Lecture each year, the UCLA Academic Senate recognizes the university’s most distinguished scholars. Faculty honorees are nominated by their peers and selected by the Senate’s Committee on Faculty Research Lectureship, which is made up of seven previous honorees. Looking back over his career, Green said he feels most indebted to his lab colleagues and his mentors, Dr. Keith Nuechterlein and Dr. Stephen Marder. Nuechterlein and Marder are UCLA professors of psychiatry, specializing in schizophrenia. 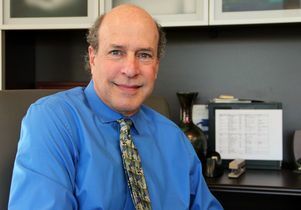 Last year, Green and Marder shared the Lieber Prize for Outstanding Achievement in Schizophrenia Research, which recognizes important advances in treatment research. Michael Green’s lecture, which is free and open to the public, will take place at 3 p.m. Oct. 25 in Schoenberg Hall. The address is 445 Charles E. Young Drive East. A reception will follow. RSVP for the reception by Oct. 18 at uclarsvp@support.ucla.edu. For more information, call 310-794-6241. 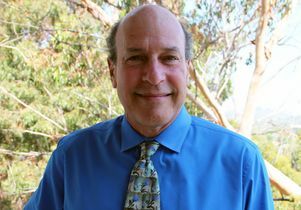 Michael Green, neuroscientist and professor-in-residence of psychiatry and biobehavioral sciences at UCLA.